In an extraordinary case of cross-border cooperation, a Syrian rebel commander cared for and then helped return to Israel an eagle that was released into a nature reserve in the Golan Heights four months ago and which had accidentally made its way to the Syrian side. The bird, dubbed S-98 by its handlers at the Israel Nature and Parks Authority, was returned to Israel this past week, Channel 2 reported Thursday, through the Israeli Flying Aid organization, a non-profit that works to deliver aid internationally to communities affected by conflict and natural disasters. The unnamed Syrian militia head had contacted the organization, saying he saved the eagle when it got caught up in fighting in territory held by the Islamic State in the war-torn country. The GPS affixed to the bird had stopped sending back signals last month, worrying its Israeli handlers. Their concerns intensified as the weeks passed, according to the report. The rebel commander said he spotted the eagle during battles with the Islamic State when his unit was setting up ambushes. “I went up to it, slowly, and caught it with my hands,” he told Channel 2. He said his people spotted the bird’s ID tag and the broken GPS device, and understood that it belonged to the Israel Nature and Parks Authority and that it needed to be cared for until it could be returned. He added that he and his colleagues were concerned others would discover the animal and seek to capture it, possibly for gain. 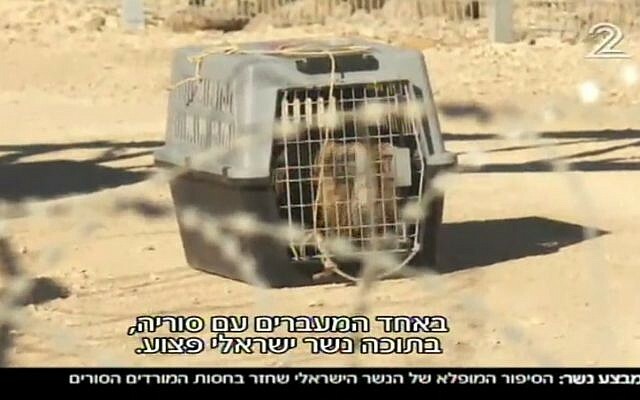 Eldad Eitan from the Israel Nature and Parks Authority said his authority passed on instructions regarding care for the animal until his safe passage to Israel. According to the report, the Syrian asked that Israel organize delivery of two live chickens per day solely for the eagle, despite the food shortage for him and his men. 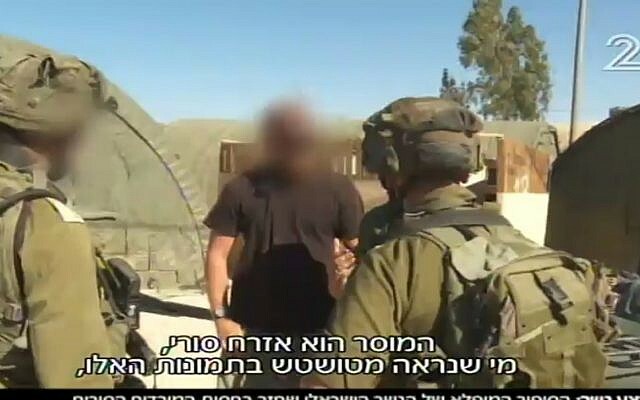 Gal Luski, the founder of Israeli Flying Aid, told Channel 2 that the eagle received great care until his arrival in Israel, with the Syrian commander and his men living on bread and water for weeks while the eagle ate the Israeli-delivered fowl. Luski said the eagle was lucky to have fallen into the hands of someone who appeared to love birds of prey and who cared for it for weeks until the necessary arrangements were made for the transfer. 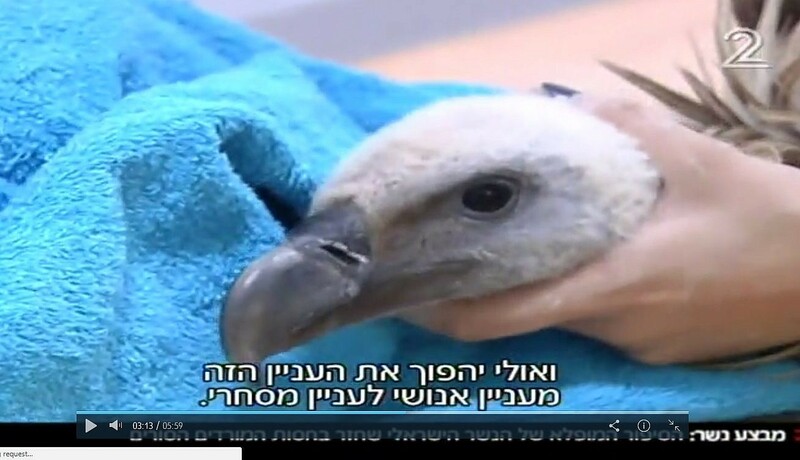 The bird arrived in a cage at a crossing into Israel and was taken by the Parks Authority for treatment.